-Although I usually only include entree recipes, some may need a side dish. I usually add salad, veggies and or some kind of bread to most entrees. Choose something your family enjoys. -For breakfast during the week I try to make muffins, casseroles, quiches or something that will last us a few days. I also always have yogurt, fruit and frozen waffles around. I have added a couple of breakfast ideas but have NOT included them in the grocery list. -I do not include lunch recipes because I try to make enough dinner each night to have left overs for lunch. Sometimes I’ll make some kind of simple quiche or quinoa casserole to last for few lunches. -Most of these recipes require some kind of chopping or shredding, I try to chop all my veggies on one evening and store them in easy access containers for the week. Makes cooking dinner each night so much faster! -Most of these meals call for cheese, a simple way to save money would be to buy block cheese and shred it yourself. I make these ALL. THE. TIME. So good, so easy and so healthy! This sandwich is super easy and fast. I made this on a night I knew I would be exhausted after a busy day. The tots made a perfect side too! A perfect fall comfort food and the biscuits go so well with it. The leftovers were even better than eating it the first time. So delicious. If you’re a kale hater, eat this and you will become a kale lover. Since this recipe only required a few bacon strips, I froze the rest for another meal in the future. This recipe is one of my favorites of the week. The sausage adds so much flavor. This one requires some chopping! Since this recipe only required 2 sausage links I froze the rest for another meal in the future. This is also an easy recipe to double and freeze. Another really easy and fast recipe, especially if you do chopping ahead of time. Goes great with bread and a salad. It’s not extremely filling so an extra side might be needed. Everything looks soo amazing!! Especially the peanut butter banana muffins! YUM! 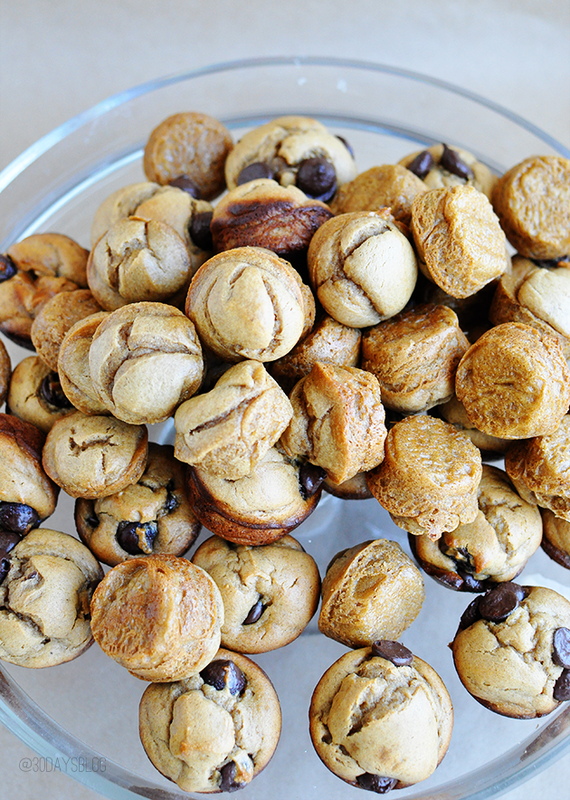 I can not WAIT to make those pb mini muffins! Thanks for sharing! Where to begin? I think I’ve found plenty to spice up our dinners! Oh yum! Everything looks delicious and these can easily be changed to gluten free! Thanks! This all makes me so hungry! I love that you included a printable. I love a good printable! Wow so many of these look amazing!! The califower tots look so delicious and the muffins. I’ve made somethig similar to those oven tacos before…heavenly!! What a great selection! The muffins look great! Skinny cauliflower tots?! wow! I’m definitely trying watch my girlish figure right now so this would be great!